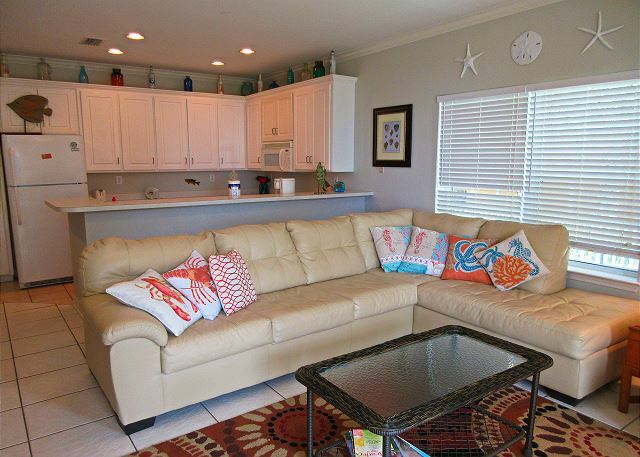 This ground floor 4 bedroom, 3 bath unit sleeps 12. 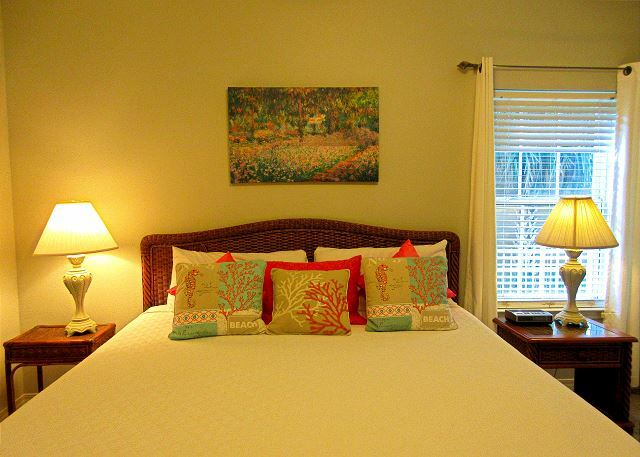 Rooms Sleeps 12, This ground floor 4 bedroom, 3 bath unit sleeps 12. 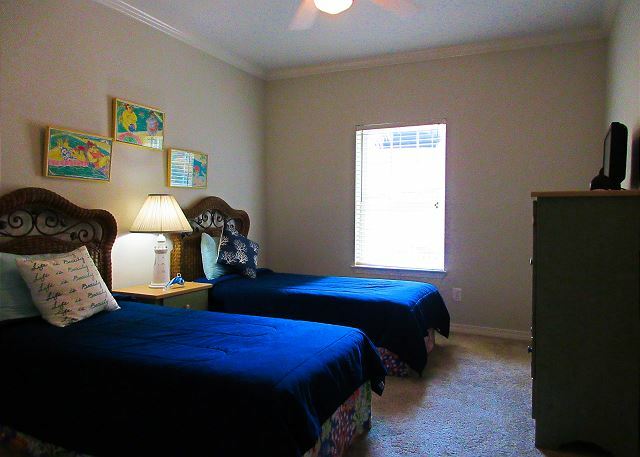 The pools are just steps away from your private, gated patio! 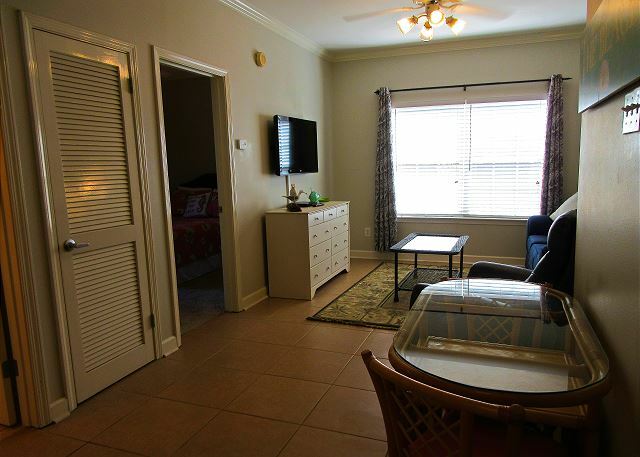 This condo is beautiful and fit our needs perfectly! We loved the location! 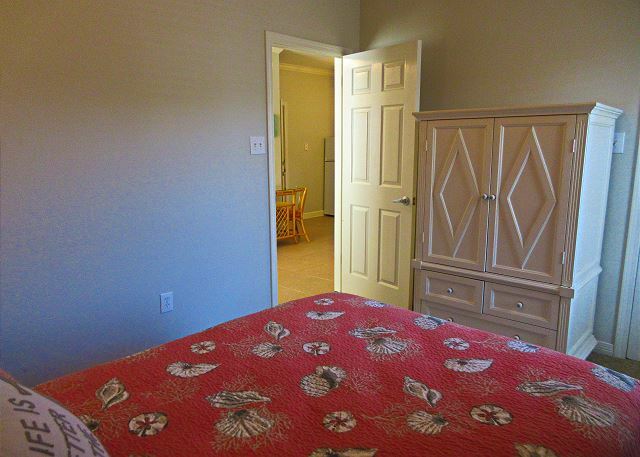 -- The main kitchen has everything you need to prepare and serve all meals! 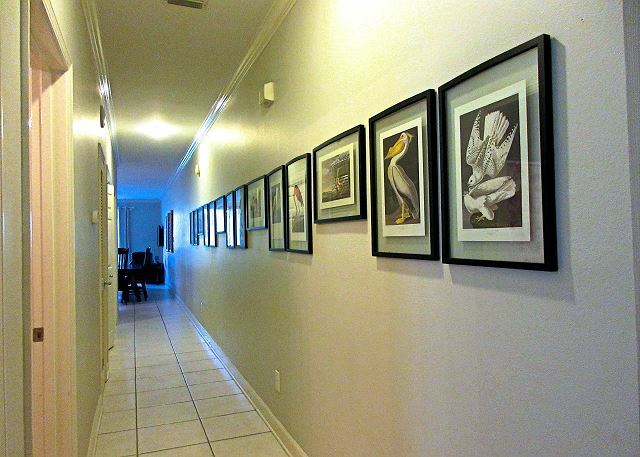 We had two families and this condo allowed us to be together and yet maintain a bit of privacy when needed. Thank you for a wonderful stay! This is the first time we have stayed at the beach club so we did not know what to expect. How close was the beach ? the pools etc . 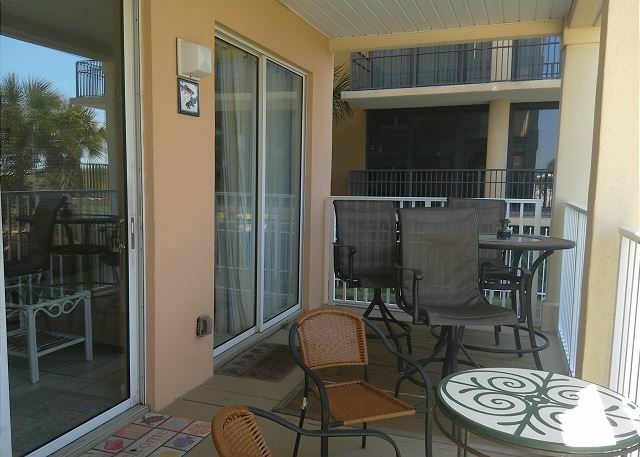 We got in late afternoon and our first notice was the screen in the sliding door was torn, however this was not an issue b/c it was so windy when we were there we had no issue with bugs. Then the cable did not work in the one living room. (football games were playing that weekend) Made a call and Property Mgt came right away and fixed that issue. Within an hour after arrival we were on the beach. 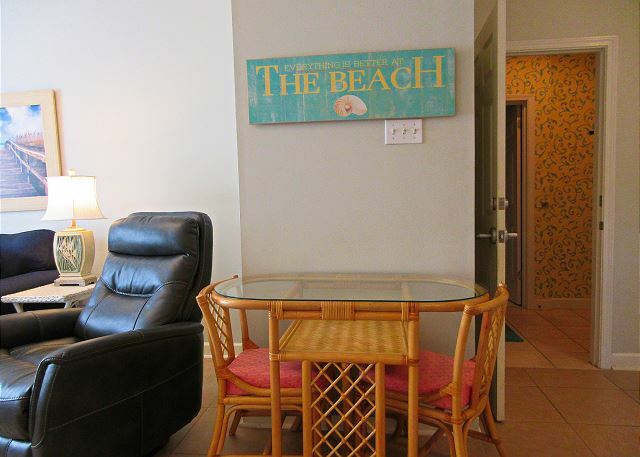 The pool is just steps away and beach is not a long walk- you will need a wagon if you have multiple chairs or beach items. We had 3 families in this unit. one with 2 teenagers , 1 with a toddler and 5 year old and the grand parents. There was plenty of room and even with getting rained out in the afternoons still plenty of space. With 2 living rooms and tvs in each room everyone felt like they had their own space. We all plan on coming back again. Thank you for sharing this wonderful place with our family. Unit 101 was perfect for my family. I did not have any significant complaints. I think the most undesirable part was check in. It is a little confusing with all the gate codes: use this gate code for the inn and this code for the DI BC. I don’t really see why these can’t be the same or why can’t you have an open area to your office. Everything was perfect. We loved the home and location. The only suggestion that I have is that the sprinklers are set to run at night or where they do not spray on the balcony. We couldn't sit out in the mornings without getting soaked. Memorial Day at the beach! It was wonderful as always! We have stayed at this snr sort many times over the years, and we love going there! We were expecting bad weather, and that even missed us! We could not have been happier! The stay was really relaxing. We arrived at the unit at 5 pm and there were cleaning people still there. The carpets had just been cleaned and were still wet. Once the carpets dried, there was a strong mildew smell that was coming from the carpets. We probably should have tried to change rooms but were not there long and did not have time that day. 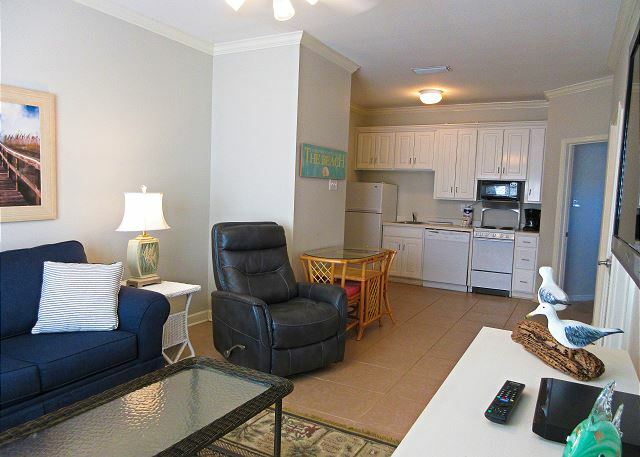 This is a ground floor corner unit just steps from the pool and easy access to the beach. 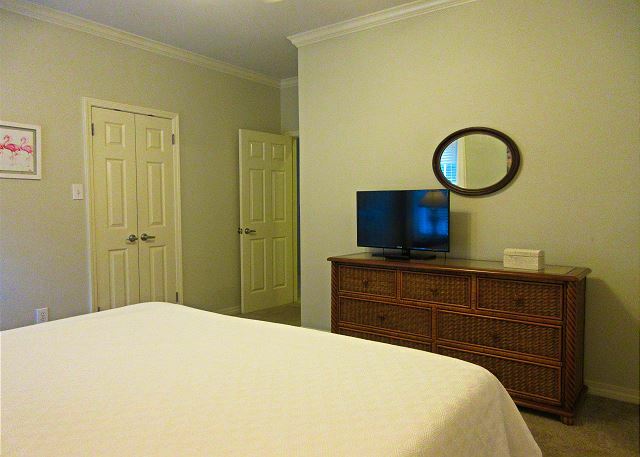 The condo was spacious, not too cluttered with furniture and decorative accessories, and it was comfortable. Because it was the corner unit, it was not directly in front of the (sometimes crowded) pool and it had a nice lawn in front. Also, it has more light because of the windows along the side wall. 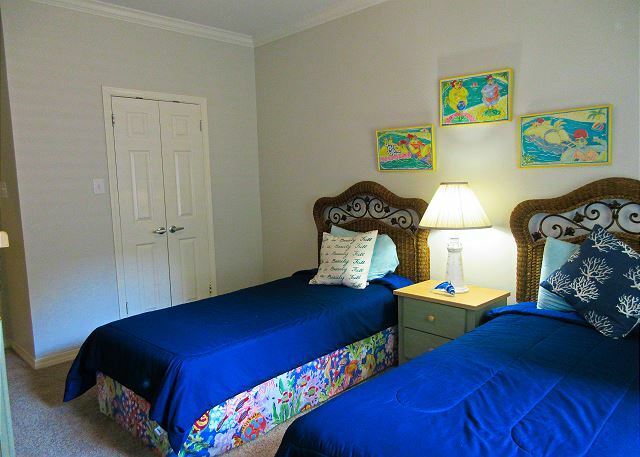 The complex itself was also clean, felt spacious and the other guests were friendly. It was not a "party" crowd, very much a family place. We will certainly be back. We enjoyed our stay very much. We had everything we needed and were very comfortable. The walkway out to the beach was especially nice. We thoroughly enjoyed our long weekend in Beach Club #101A. Beach Club is one of only 3 beachfront complexes on the Island, and this first floor unit was exactly what we were looking for. 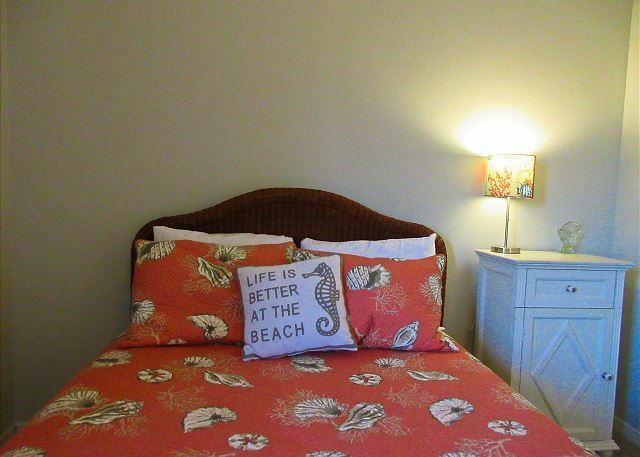 Plenty of room, great furnishings, and only steps from the pool and beach boardwalk. 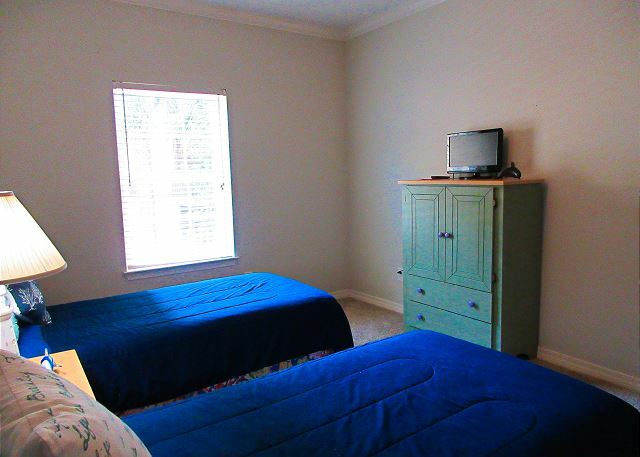 Another bonus is that the property management is located in the adjacent Inn and was always available to help with anything we needed. 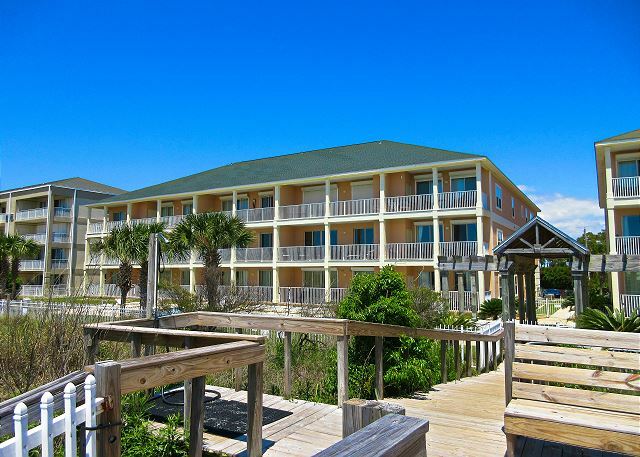 This was our second year renting here and, as always, the staff is organized ahd very helpful. This was a different condo this year and we loved its first floor location. The kitchen was incredibly well stocked with everything you need to cook great meals. The furniture was very comfortable. We had the great pizza across the street again. And, we enjoyed treats from the bakery and a yummy lunch at JT's Sunset Grill. We had a great time. The unit was wonderful. The biggest downfall is the lack of a pier leading half way to the beach. It is a very long walk through sand to and from the beach. Both neighboring units have piers. Also, the kitchen faucet leaks. Other than that, we loved the unit. Very accommodating and nice. Absolutely love the sofa!!! We were blessed with beautiful weather and all of the cooking and sleeping items we could wish for. 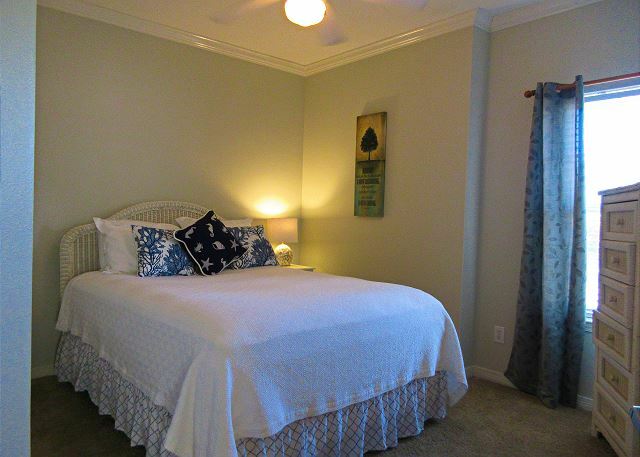 The property was very spacious and clean and beautifully decorated and maintained.